The UFC returns with its next pay-per-view offering Saturday, Nov. 3, with UFC 230 at Madison Square Garden in New York. For the longest time, UFC 230 didn’t officially have a main event for what has now turned out to be one of the bigger shows of the year in the top media market in the country. Then on Oct. 9, the UFC announced that Daniel Cormier would defend the heavyweight title against No. 2-ranked Derrick Lewis. 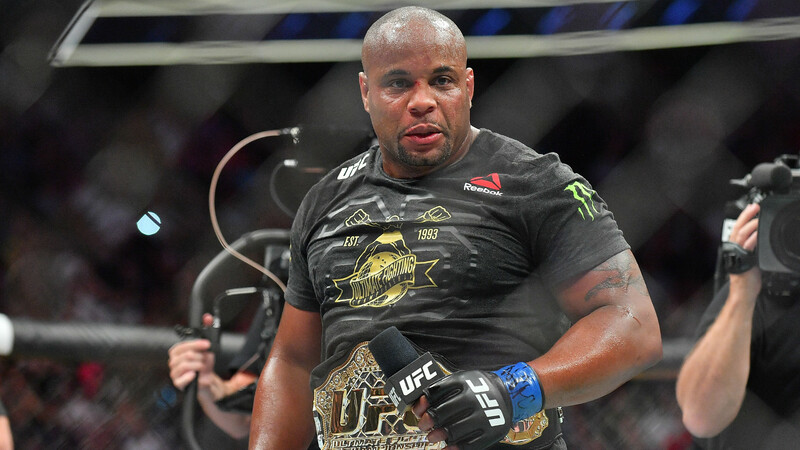 Cormier (21-1, one no contest), also the light heavyweight champion, made history when he scored a first-round knockout of Stipe Miocic at UFC 226 to capture the heavyweight title and became the second fighter to hold two championships at the same time. The 39-year-old had been expected to meet Brock Lesnar at the beginning of 2019, but the UFC was in a bind and Cormier took the opportunity. In his last bout at UFC 229, Lewis (21-5, one no contest) trailed on all three judges’ scorecards when he knocked out Alexander Volkov with 11 seconds remaining to vault himself into a title shot. “The Black Beast” comes into UFC 230 with everything to gain and nothing to lose. No one expected Lewis to ever get this opportunity and he can derail the Cormier-Lesnar plans in one fell swoop. UFC 230 takes place on Saturday, Nov. 3. Pay-per-view coverage begins at 10 p.m. Cormier and Lewis should enter the Octagon around 12:15 a.m. The main card on pay-per-view can be purchased for $64.99. For more information on how to order UFC 230: Cormier vs. Lewis, contact your service provider. You can also live-stream UFC 230 and order the main card on UFC.TV for $64.99. ICC Cricket World Cup 2019 tickets and prices: Are they on sale TODAY and what is the full schedule for competition?